Angela Petteys over at Moz has put together a great article to help website and business owners get their head around these new laws. We’ve included some of the most common implications of these new laws and how they could impact your business. You can read Angela’s full article at https://moz.com/blog/gdpr-and-online-marketing. Certainly worth a read if you have any European traffic coming to your sites. For a quick introduction to GDPR, this short video gives a great explanation of the new laws from an end-user’s point-of-view. If you use Google Analytics, Google is your data processor and since they handle data from people all over the world, they’ve had to take steps to become compliant with GDPR standards. However, you/your company are considered the data controller in this relationship and you will also need to take steps to make sure your Google Analytics account is set up to meet the new requirements. Google has been rolling out some new features to help make this happen. 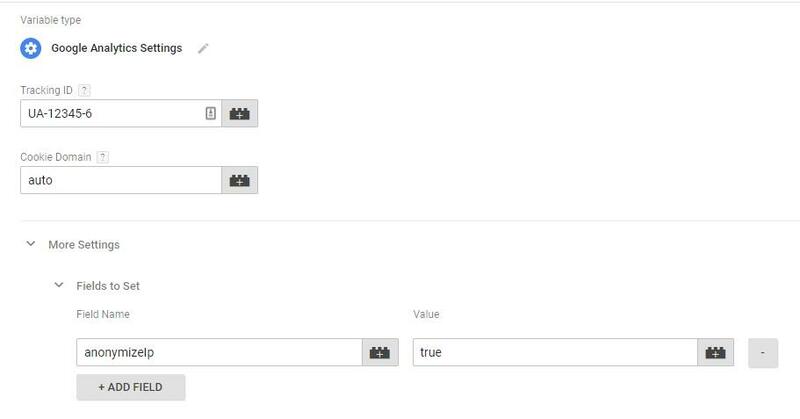 In Analytics, you will now have the ability to delete the information of individual users if they request it. They’ve also introduced data retention settings which allow you to control how long individual user data is saved before being automatically deleted. Google has set this to be 26 months as the default setting, but if you are working with a US-based company that strictly conducts business in the United States, you can set it to never expire if you want to — at least until data protection laws change here, too. It’s important to note that this only applies to data about individual users and events, so aggregate data about high-level information like page views won’t be impacted by this. To make sure you’re using Analytics in compliance with GDPR, a good place to start is by auditing all the data you collect to make sure it’s all relevant to its intended purpose and that you aren’t accidentally sending any personally identifiable information (PII) to Google Analytics. Sending PII to Google Analytics was already against its Terms of Service, but very often, it happens by accident when information is pushed through in a page URL. If it turns out you are sending PII to Analytics, you’ll need to talk to your web development team about how to fix it because using filters in Analytics to block it isn’t enough — you need to make sure it’s never sent to Google Analytics in the first place. PII includes anything that can potentially be used to identify a specific person, either on its own or when combined with another piece of information, like an email address, a home address, a birthdate, a zip code, or an IP address. IP addresses weren’t always considered PII, but GDPR classifies them as an online identifier. Don’t worry, though — you can still get geographical insights about the visitors to your site. All you have to do is turn on IP anonymization and the last portion of an IP address will be replaced with a zero, so you can still get a general idea of where your traffic is coming from, although it will be a little less precise. If you use Google Tag Manager, IP anonymization is pretty easy. Just open your Google Analytics tag or its settings variable, choose “More Settings,” and select “Fields to Set.” Then, choose “anonymizeip” in the “Field Name” box, enter “true” in the “Value” box,” and save your changes. If you don’t use GTM, talk to your web development team about editing the Google Analytics code to anonymize IP addresses. Pseudonymous information like user IDs and transaction IDs are still acceptable under GDPR, but it needs to be protected. User and transaction IDs need to be alphanumeric database identifiers, not written out in plain text. Also, if you haven’t already done so, don’t forget to take the steps Google has mentioned in some of those emails they’ve sent out. If you’re based outside the EEA and GDPR applies to you, go into your Google Analytics account settings and accept the updated terms of processing. If you’re based in the EEA, the updated terms have already been included in your data processing terms. If GDPR applies to you, you’ll also need to go into your organization settings and provide contact information for your organization. The impact GDPR will have on marketers isn’t just limited to how you use Google Analytics. If you use some particular types of marketing in the course of your job, you may have to make a few other changes, too. If you work with a company that does “refer a friend”-type promotions where a customer has to enter information for a friend to receive a discount, GDPR is going to make a difference for you. Giving consent for data to be collected is a key part of GDPR and in these sorts of promotions, the person being referred can’t clearly consent to their information being collected. Under GDPR, it is possible to continue this practice, but it all depends on how that information is being used. If you store the information of the person being referred and use it for marketing purposes, it would be a violation of GDPR standards. However, if you don’t store that information or process it, you’re OK. If you’re an email marketer and already follow best industry standards by doing things like only sending messages to those who clearly opt in to your list and making it easy for people to unsubscribe, the good news is that you’re probably in pretty good shape. As far as email marketing goes, GDPR is going to have the biggest impact on those who do things that have already been considered sketchy, like buying lists of contacts or not making it clear when someone is signing up to receive emails from you. Even if you think you’re good to go, it’s still a good time to review your contacts and double check that your European contacts have indeed opted into being on your list and that it was clear what they were signing up for. If any of your contacts don’t have their country listed or you’re not sure how they opted in, you may want to either remove them from your list or put them on a separate segment so they don’t get any messages from you until you can get that figured out. Even if you’re confident your European contacts have opted in, there’s no harm in sending out an email asking them to confirm that they would like to continue receiving messages from you. Creating a double opt-in process isn’t mandatory, but it would be a good idea since it helps remove any doubt over whether or not a person has agreed to being on your list. While you’re at it, take a look at the forms people use to sign up to be on your list and make sure they’re in line with GDPR standards, with no pre-checked boxes and the fact that they’re agreeing to receive emails from you is very clear. For example, here’s a non-GDPR compliant email signup option I recently saw on a checkout page. They tell you what they’re planning to send to you, but the fact that it’s a pre-checked box placed underneath the more prominent “Place Order” button makes it very easy for people to unintentionally sign up for emails they might not actually want. 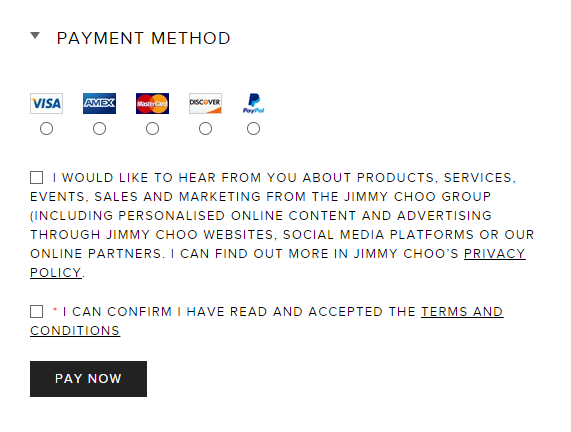 Jimmy Choo, on the other hand, also gives you the chance to sign up for emails while making a purchase, but since the box isn’t pre-checked, it’s good to go under GDPR. As is the case with standard email marketing, marketing automation specialists will need to make sure they have clear consent from everyone who has agreed to be part of their lists. Check your European contacts to make sure you know how they’ve opted in. Also review the ways people can opt into your list to make sure it’s clear what, exactly, they’re signing up for so that your existing contacts would be considered valid. If you use marketing automation to re-engage customers who have been inactive for a while, you may need to get permission to contact them again, depending on how long it has been since they last interacted with you. Some marketing automation platforms have functionality which will be impacted by GDPR. Lead scoring, for example, is now considered a form of profiling and you will need to get permission from individuals to have their information used in that way. Reverse IP tracking also needs consent. It’s also important to make sure your marketing automation platform and CRM system are set to sync automatically. If a person on your list unsubscribes and continues receiving emails because of a lapse between the two, you could get in trouble for not being GDPR compliant. A lot of companies use gated content, like free reports, whitepapers, or webinars, as a way to generate leads. The way they see it, the person’s information serves as the price of admission. But since GDPR prohibits blocking access to content if a person doesn’t consent to their information being collected, is gated content effectively useless now? GDPR doesn’t completely eliminate the possibility of gated content, but there are now higher standards for collecting user information. Basically, if you’re going to have gated content, you need to be able to prove that the information you collect is necessary for you to provide the deliverable. For example, if you were organizing a webinar, you’d be justified in collecting email addresses since attendees need to be sent a link to join in. You’d have a harder time claiming an email address was required for something like a whitepaper since that doesn’t necessarily have to be delivered via email. And of course, as with any other form on a site, forms for gated content need to clearly state all the necessary information about how the information being collected will be used. If you don’t get a lot of leads from European users anyway, you may want to just block all gated content from European visitors. Another option would be to go ahead and make that information freely available to visitors from Europe. If you use Google AdWords to advertise to European residents, Google already required publishers and advertisers to get permission from end users by putting disclaimers on the landing page, but GDPR will be making some changes to these requirements. Google will now be requiring publishers to get clear consent from individuals to have their information collected. Not only does this mean you have to give more information about how a person’s information will be used, you’ll also need to keep records of consent and tell users how they can opt out later on if they want to do so. If a person doesn’t give consent to having their information collected, Google will be making it possible to serve them non-personalized ads. GDPR is a significant change and trying to grasp the full scope of its changes is pretty daunting. This is far from being a comprehensive guide, so if you have any questions about how GDPR applies to a particular client you’re working with, it may be best to get in touch with their legal department or team. GDPR will impact some industries more than others, so it’s best to get some input from someone who truly understands the law and how it applies to that specific business.